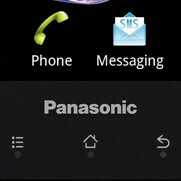 You can now add Panasonic to the list of companies that might release a smartphone with 1080p screen in 2013. Rumor has it that a device with a model name P-02E is currently being tested. The only evidence in support of its existence for now is a server log showing it running Android 4.1.2 and sporting a display resolution of 1080 by 1920 pixels. Further hardware specs have not been revealed by the log. Don't expect the Panasonic P-02E to launch in Europe or the U.S., however. Last month, the company announced that it won't be focusing on markets outside of its homeland in order to streamline its operations and possibly limit its financial losses. Instead, if this high-end handset ever sees the light of day, it will most likely land on the shelves of NTT DoCoMo in Japan. It might be part of the Panasonic Eluga lineup, known for being impressively slim and water resistant. And who knows, perhaps the maker might implement some of its camera technology and slap a Lumix branding on the device as well, making it a true high-end flagship. But that's just a guess. That's all we know about the rumored Panasonic P-02E so far. Since it likely won't be released anywhere outside of Japan, perhaps you shouldn't get too excited about it. Wish Panasonic and Fuji among others would bring phones to the US and not just japan. no point they just dont have enough market following here...and moreover as good as they are they'll have difficulty etching out a piece of the pie if anything is left after Sammy and Apple are done with it! It's disappointing that Panasonic doesn't release in the US... I had a flip phone from them before, and it was great... It'd be nice to have more manufacturer choices. japan electronic companies are going downhill. only sony seems to have a chance of surviving. You can buy them outside of Japan, fully unlocked, actually, but of course if you're in to root and all that stuff you shouldn't bother with these. This only shows how important marketing and support is. They already make the phone, so development is out of the equation... It's not even profitable for them to try to sell a product they already developed and are producing because marketing and support expenses are far greater.